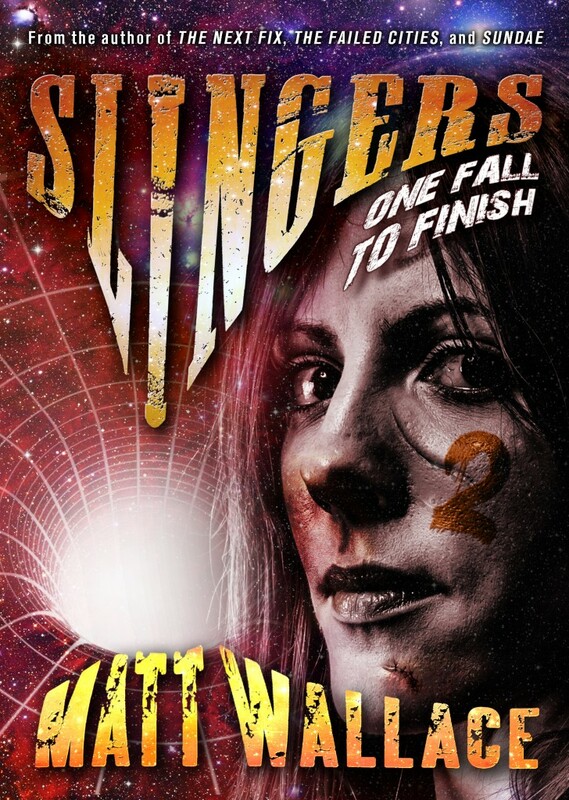 SLINGERS is the exciting new five-part digital novella series from Matt Wallace, the award-winning author of THE NEXT FIX and THE FAILED CITIES. Slingers are the celebrities of our global future; men and women who compete in the ultimate gladiatorial team combat sport. Theirs is a fight to the death. Their arena is constructed around an active wormhole in space. The microcosmic world that has evolved around that arena is filled with intense action, eroticism, geopolitics, diverse characters, complex relationships, and compelling mystery. 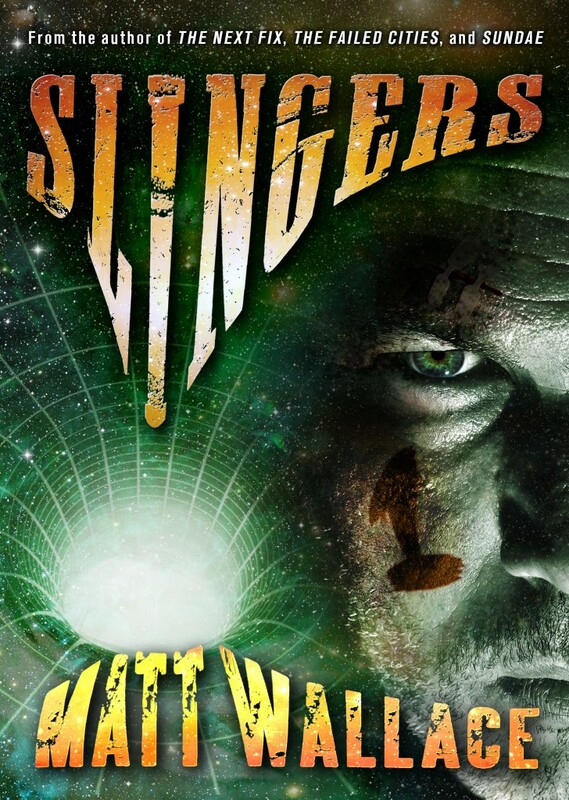 Released throughout 2014, SLINGERS is both a bold experiment in fiction and a reverent throwback to the pulp serials of old. It’s a narrative and publishing experience designed to bring the author and the reader into direct contact at every level, bypassing the traditional buffers and moorings of the medium. Meet Nico. He’s currently falling 30,000 feet to his death while the entire world watches. WARNING: Contains graphic violence, adult language and sexuality, and intense futurism. The men and women of the Reapers all do their job for different reasons. Wade works for his family, Jackie works because the team have become her family. Alasdair and Marguerite work because there’s nowhere else they’d rather be than by each other’s side. Xenia works to show the girls who idolize her that there is always something more than they can be. Kem works for vengeance, plain and simple. But nothing’s simple on Sling City these days. And when Kem and Xenia try and use their celebrity status to find some answers they discover just how little the game matters. Every man and woman on the team is a gladiator. But what are they really fighting for? And what else is happening while the world is watching them die? Another slinger has fallen, and their death leaves haunting echoes that threaten to unravel the other members of their team, even as those same gladiators await the decision that will either take them to the championship match or see their hero’s sacrifice in vain. Meanwhile, new slingers have been called to stand the deadway, a talented twin brother and sister who are untested in battle, and unprepared for the dangers of Sling City and the perils of their sudden and meteoric celebrity status. Finally, the deposed crime lord of Sling City’s lawless underground, Cuatro, has fled to The Victim Hold, a fabled nook of the space station purported to be its own circle of Hell. Battling the native demons of the Hold won’t be his only challenge, however. Many factions are still hot on Cuatro’s trail, and will follow him anywhere he goes, even into Hell’s attic. Some of them want answers. Others want his life. 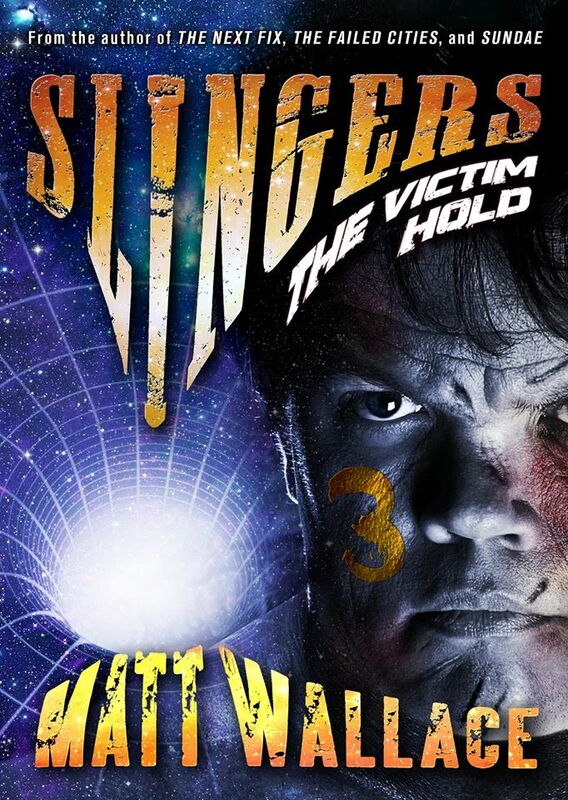 THE VICTIM HOLD is the third volume in the ongoing five-part SLINGERS SAGA by Matt Wallace, the award-winning author of THE FAILED CITIES and THE NEXT FIX. The first championship match of the season looms large and lethal in The Reapers’ immediate future, as do their most hated opponents. For Xenia Montelongo the most important match of the year is her first leading the team as their captain. For Hamza and Hala Saleed, after being thrust into the global spotlight as The Reapers’ new starting slingers and after a shocking incident that has gone viral, it’s their first time standing the deadway in mortal combat. But The Reapers are facing even greater challenges behind the scenes. Harboring the most wanted criminal in the history of Sling City and with the Games Authority and its shock cop minions plotting to end their season early, Xenia will have to choose whether or not to challenge a genocidal global conspiracy brewing outside the arena. If she even survives to make that choice. 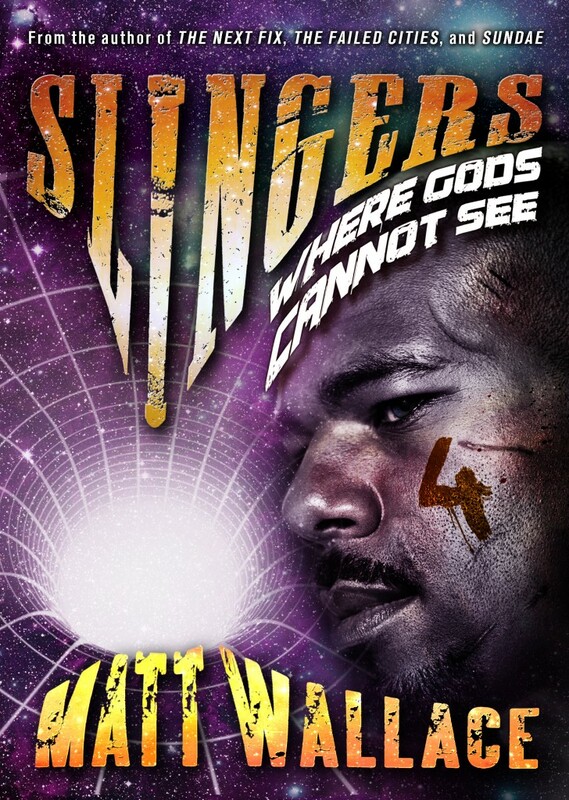 WHERE GODS CANNOT SEE is the fourth volume in the ongoing SLINGERS SAGA by Matt Wallace, the award-winning author of THE FAILED CITIES. It is an immutable fact of myth and legend. It is especially true for real-life heroes. Slingers Xenia Montelongo and Kem Carbassa are gladiators. Along with their team, The Reapers, they are the most honored champions of the ultimate combat sport of the future. They are global superstars, revered above all other celebrities of their age. But tonight, with billions of lives hanging in the balance, they must choose to be more than all of those things. They must choose to be heroes. And they’ll need help to overcome the most powerful enemies imaginable. They’ll need the army of forgotten souls whose plight drew them down from their ivory tower and into a world of harsh realities and deadly conspiracies. They’ll also need the man who has become the most unlikely savior of the lost, the diminutive deposed crime lord known as Cuatro. Tonight the world is theirs to save. There are also lethal scores to settle. 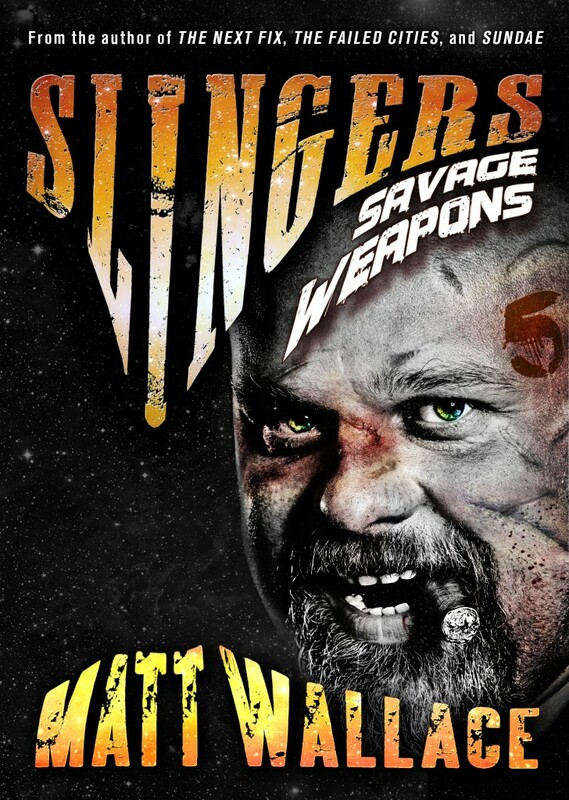 SAVAGE WEAPONS is the explosive, shocking, heartrending conclusion to the SLINGERS SAGA, the hit five-part digital novella series created by Matt Wallace, award-winning author of THE FAILED CITIES.